My catering equipment is available for hire for every occasion from the smallest party to the largest wedding. Whether you run a catering business or are the person responsible for throwing a celebration party, having enough equipment to cater for every occasion is essential. 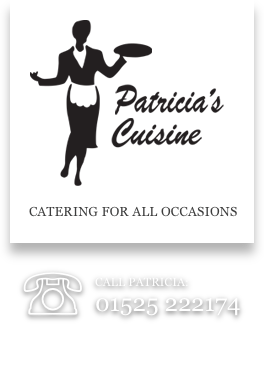 Fortunately you can hire Patricia's catering equipment and make life easier. Use either our delivery/collection service or, if you wish, make arrangements to collect. We have, for hire, up to 150 place settings in Buckingham design. Nobody likes washing-up after a celebration so why not let Patricia's Cuisine do the washing-up for you? After your celebration we'll collect all the catering equipment you've hired and wash it all up for you. Our washing-up service is priced at 50% of the hire charge of your catering equipment. Delivery and collection charges apply, if you would like us to deliver the equipment you've hired then your location will affect delivery costs. 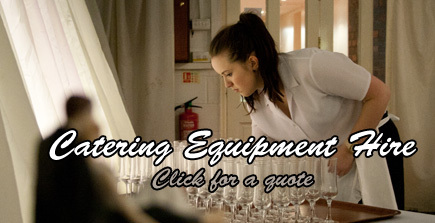 Typically, functions in and around Bedfordshire are where our catering equipment hire service is most often required. Please get in touch if you'd like details of our delivery charges.